One of the most fun things about Christmas shopping is the stockings. Mama Smith and Women and Their Pretties don’t believe in only stuffing the stockings with candy – we love finding all sorts of fun and cute ideas for the stockings – but you have to keep it to $10 or less. The hunt for the perfect stocking stuffers can be a fierce one, so you can use our guide as a fun place to begin your Christmas shopping. Whose pet will you get? The Twozies have lost their Pet Friends. Now they need your help to bring them together again! Find and match the babies with their pet friends and display them in they cute shadow boxes. Inside each 2 pack you will find 2 surprise Twozies (A baby and a pet) and a Shadow Box with a Scene Card. There are over 140 Babies and Pets to Collect. Twozies are “Two Match Fun” to collect… Because Everything’s Better… Two-gether! Dove Men+Care celebrates a new definition of strength: one with care at its center. Because Dove Men+Care believes that care makes a man stronger. Real strength is shown through the care you give to the people that matter – and that includes you. Whether you’re looking for a deodorant to keep you feeling fresh and dry all day or you want a body wash to help keep your skin hydrated, Dove Men+Care products are designed to protect and care for your skin. Choosing a moisturizer. Dealing with shaving rash. Whatever you need, find advice on men’s products and grooming to care for your skin here. This kit is the perfect stocking stuffer for men who like to take care of themselves, women, or even teenagers. It’s beautifully packaged and can be slide right into your typical stocking! Nourish your skin wherever life takes you. All the personal care products you need to grab-and-go are packed into this convenient kit. This fun little gadget will fit right into stockings. It’s great for young adults and college students! Have you looked in your microwave lately? Who wants to scrape and scrub in all those corners anyway? Now splatters, stains, spots and smells have met their match with Angry Mama microwave cleaner from BulbHead. 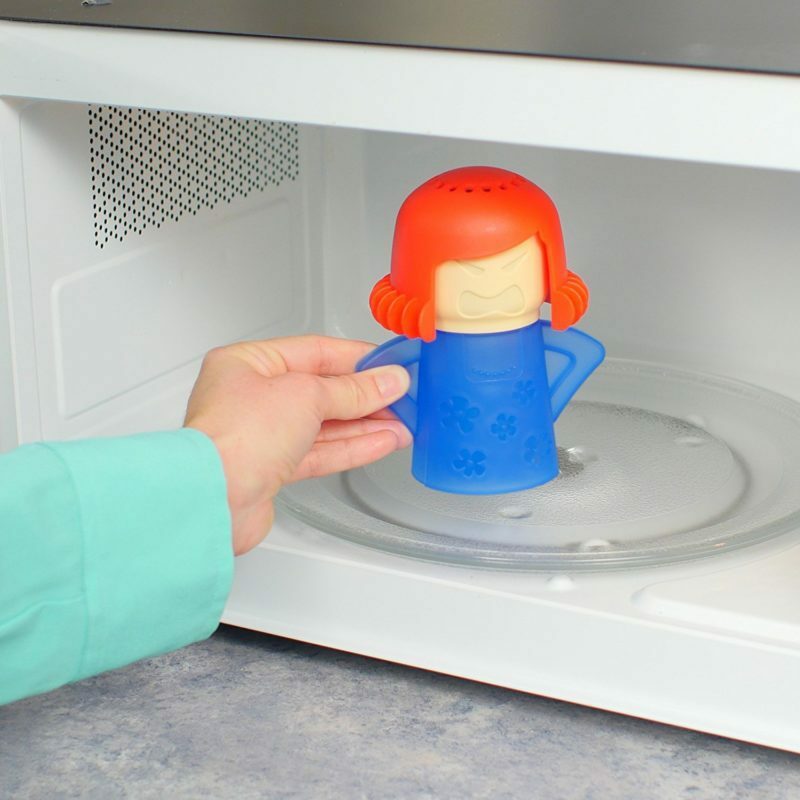 Made with non toxic materials, just fill Angry Mama with vinegar and water, turn on your microwave and watch her go to work The pressurized steam cleaner melts tough, caked and baked-on residue while leaving your microwave looking clean and smelling fresh. Its the quick, no-nonsense way to eliminate stuck on food and splashes. Surprises come in every Num Noms cup! Collect over 60 flavors! Nums are adorable, scented, squishy characters with tons of personality. Noms are cute scented characters with flavored lip gloss inside. Stack the Nums on top of the Noms to make over 1,000 sweet scented combinations. Scoop ’em all up! Includes 1 Num, 1 lip gloss Nom, and 1 collector’s menu. Kids will love to try to collect them all! 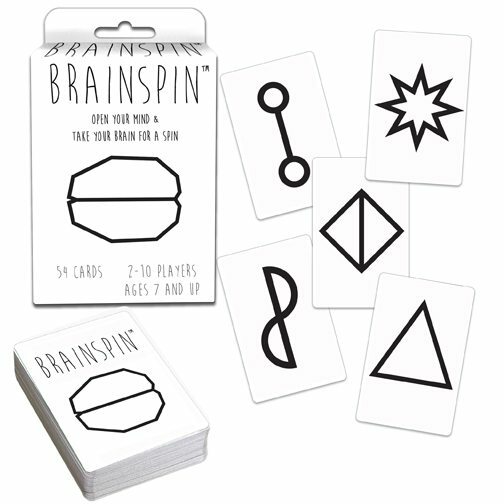 A great ice-breaker and creativity game. Players open up their minds and write down everything they see based on the card in play. No answer is too crazy as long as you can convince your opponents of what you see. Let your creativity explode! This game fits right into any stocking and is a great stocking stuffer gift idea for men or teens! Change the way you apply your makeup forever with this edgeless makeup sponge. 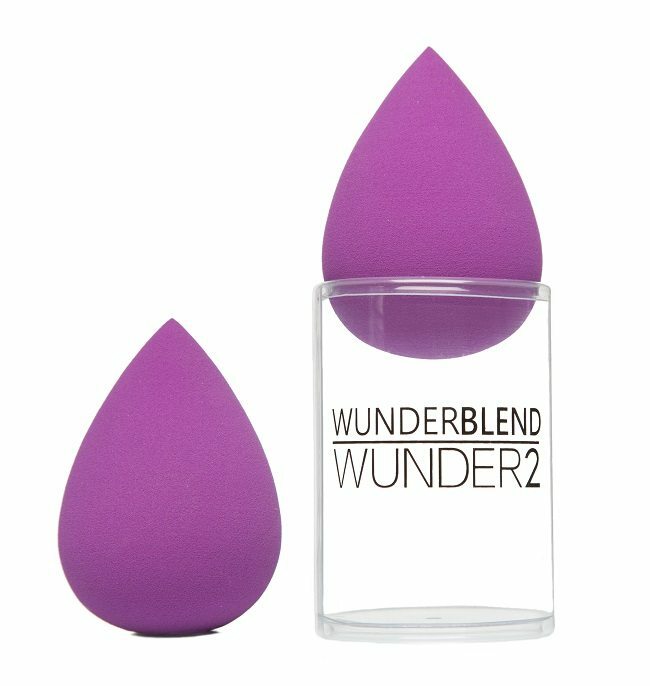 WUNDERBLEND is designed to replace existing makeup brushes & sponges – the only beauty tool you need to hide imperfections and create a flawless, fresh finish to the skin. Add this to the stockings of your beauty-lovers this year! At home waxing made easy. 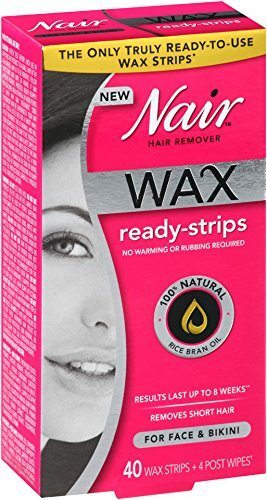 The only truly ready-to-use wax strips with no warming or rubbing required. Get salon quality waxing that works even on short hair leaving your skin smooth and radiant. Made with 100% natural rice bran oil. Get silky smooth skin that lasts longer than shaving, up to 8 weeks. Dermatologist tested. Use it for face, eyebrows and bikini line. What lady wouldn’t want to feel more beautiful this holiday season? Otis Spunkmeyer, a pioneer in the fresh-baked cookie business since the 1970s, launched a new retail line of twenty pre-packaged sweet treats in May 2016. 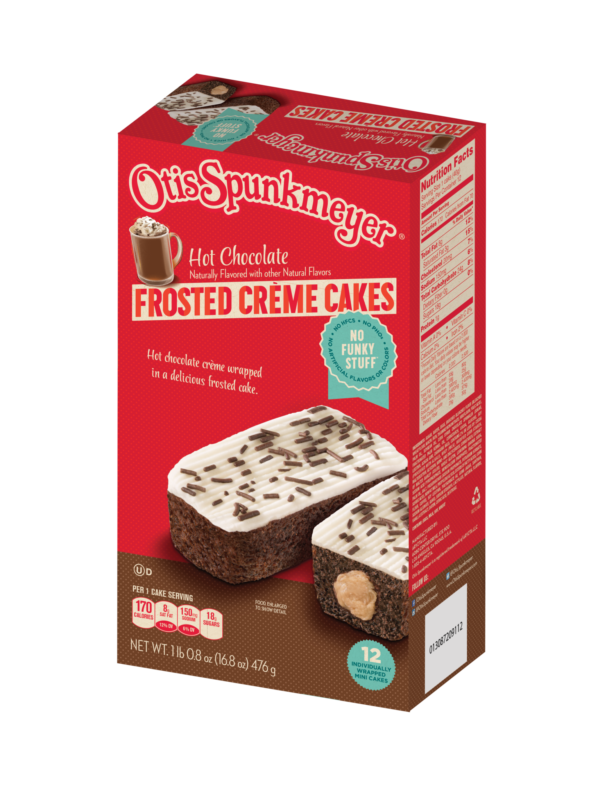 To celebrate the success, Otis Spunkmeyer will introduce its new hot chocolate frosted crème cakes, available for a limited time at national retailers starting October 1. 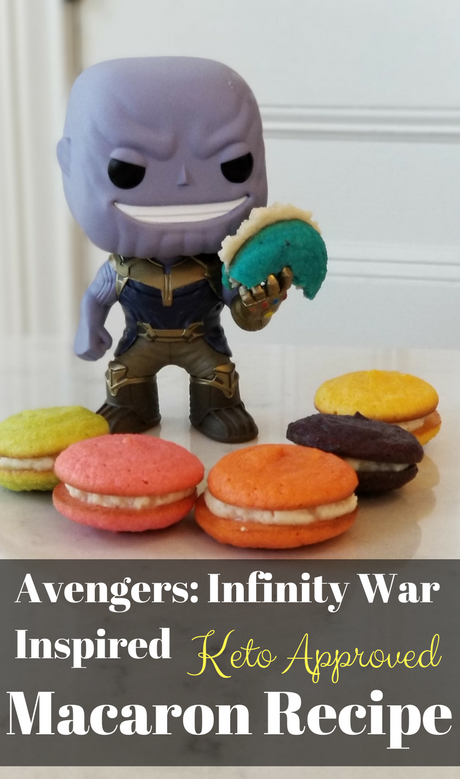 Aside from their amazing flavor, the best thing about these cakes is that they contain ‘NO FUNKY STUFF’, which means NO artificial flavors or colors, high fructose corn syrup, or partially hydrogenated oils. DreamWorks Trolls has been a huge hit already and of course the toys are expected to be this holiday season. These mystery capsules make opening them to find out which ones kids will get lots of fun. There are 6 Key Chains to Collect: Poppy True, Color Branch, Copper, Biggie, DJ Suki & GUY Diamond. Each Sold Separately. Just the thing on a cool, crisp fall or winter day. Our premium hot cocoa mix is made with real dark chocolate with a hint of vanilla. Just add hot water for a cozy drink anytime. This will slip right into anyone’s stocking and the tin can be reused later! 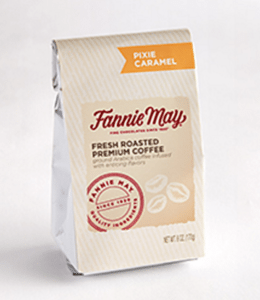 The perfect blend of our famous Pixie flavor and premium Arabica beans roasted to perfection. Add this to a coffee lover’s stocking and they will be happy all year! 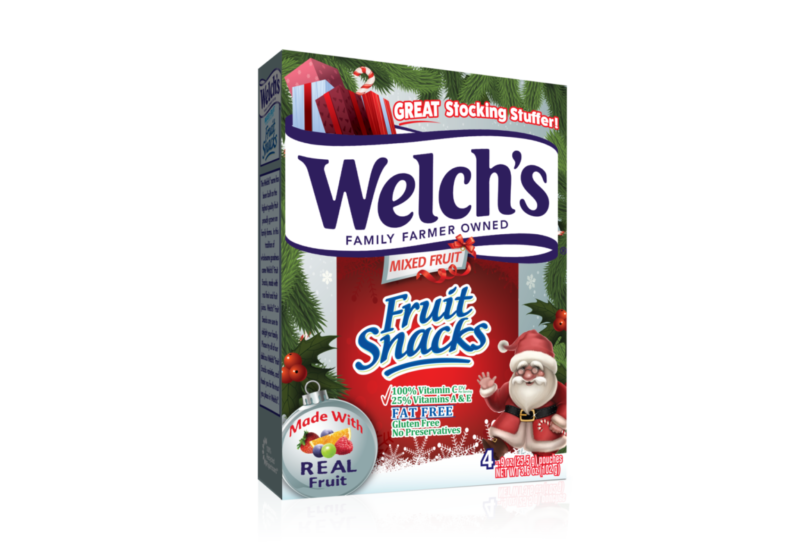 The Welch’s® Fruit Snacks Christmas themed box is the perfect snack for any stocking. Available in a 4-count box, it is the perfect stocking stuffer for anyone. Moms and Dads will love that every pack is made with REAL Fruit, is Fat-Free, Gluten-Free, contains No Preservatives and kids will love snacking on these as they open their gifts! Welch’s® Fruit Snacks feature fruit as the first ingredient, so they taste delicious! L’il Critters Gummy Vites is the #1 children´s gummy multivitamin. Kids love the great taste, naturally sourced flavors and the fun gummy bear shape. Parents can trust that kids are getting essential vitamins and minerals to support and maintain healthy growth and development. 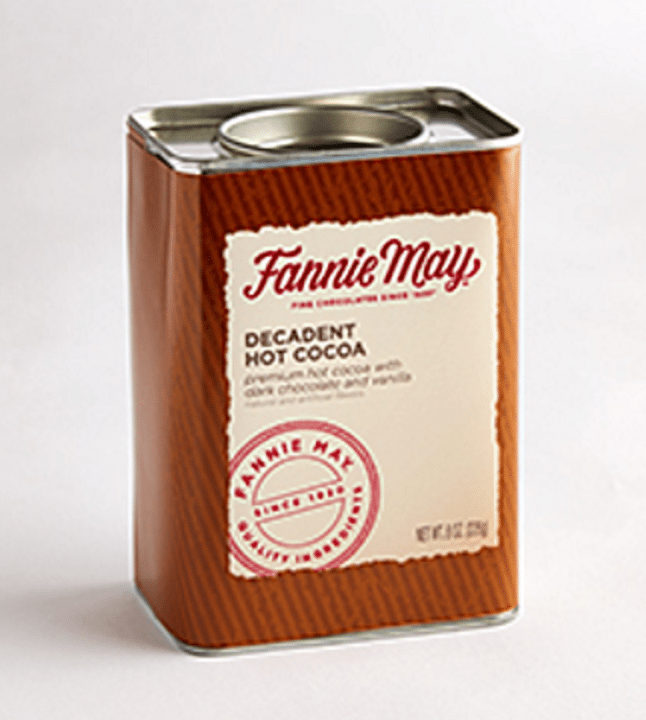 They are made in the USA with naturally sourced cherry, berry, and citrus flavors. My girls love them – and I love them too! No more arguing to take their vitamins. The festive formulas rehydrate dry winter skin, and feature seasonal scents like invigorating peppermint meringue and calming vanilla crème. They are the perfect affordable stocking stuffer to spark holiday spirit and keep skin soft and smooth all season long. Softsoap® BRAND Limited Edition Body Washes are currently available in two variants: Peppermint Meringue and Vanilla Crème. Available now for a limited time through February ‘17. Now you can build the world of the cutest, most-collectible characters with Shopkins Kinstructions Mini Packs! Build, Shop and Kinstruct your Shopkins world. Includes: 2 Buildable Figures, Set and Accessories. Kim and Jason’s cookies are so delicious that all they’re ever left with are crumbs, so they devised this devious ploy. Just bake them with bite marks built-in and watch your friends leave them behind on the tray. It’s the famous ABC (Already Been Chewed) Cookie Cutters! When it comes to these poor poor maimed Gingerbread Men, well, their loss is your gain. ABC Cookie Cutters are made to the highest culinary standards from luxurious cast aluminum so there are no seams or sharp edges and they’re easy to clean. Packed in a nifty clear display box. Whether you want to keep that just just-got-out-of-bed look until you climb back in to it, or you want to keep your locks sleek ’till sunset, our products can help you get the look – and keep it. Miss Spa® utilizes one of the hottest, fastest growing delivery systems in skin care today: facial sheet masks, hydrogel and high quality liquids.Their Korean formulated treatments are affordable (starting at $3.99) and deliver quick, professional results in the convenience of your own home. Each product is free of sulfates, parabens, fragrances & artificial dyes and never tested on animals. The line covers a wide range of treatments for the face, eyes, lips, chin, forehead, fingers, hands and feet. Treatments include anti-aging, exfoliating, hydrating, brightening, toning, nourishing, restore and revitalize. Gevalia Special Reserve coffees are specially formulated for drinkers who use specialty brew methods including French Press, moka pot and pour over. Each variety is precisely pre-ground for these devices and includes a recommended brewing method on each bag. Crafted with single-origin coffee bean blends from Kenya, Guatemala, Costa Rica and Papua New Guinea, each coffee highlights flavors from growing regions around the world – much like flavors in wine vary from region to region. Gevalia Special Reserve helps coffee lovers elevate their DIY barista game in an easy, approachable way – while also letting them brew in a standard automatic drip brewer, if they prefer. Denik fathers artists from across the globe and put their work on notebooks, journals, and sketchbooks. Then, with every product sold, a portion of the proceeds goes directly to building schools (this year in Guatemala). They also send a royalty payment back to the artist for their support. They believe that art can change the world, and this is how we’re showing it. They currently work with brands like Quiksilver, Roxy, Skullcandy, Nickelodeon, TOMS Shoes and Amazon, and feature artists like Craola, and Stefan Janoski, the Nike Pro Skateboarder. Board books with a twist featuring potty humor, hilarious illustrations & simple sentences. A perfect addition to your child’s library. These books are perfect for stocking stuffers. They are just the right size and will bring laughter to kids Christmas morning! Refocus bands allow you be to be more mindful and take control of your thoughts by simply flipping the band every time a negative thought overpowers you. Every flip helps encourage a positive thought that guides your inner voice in the right direction. Swipe® is a pocket-sized, biodegradable, single use deodorant wipe infused with a natural tea tree extract that not only provides protection, it also eliminates body odor. The new eco-friendly and paraben free formula for Swipe®, a fresh, innovative product in personal hygiene with a new active ingredient, Saccharomyces Ferment,anatural bacterial enzyme that combats odor. Founder of Forever Fresh Inc., Marielle Sainz says “I wanted to reformulate the product to make it safe from any potential harmful ingredients for the consumer and environment.” The small and discrete packaging makes Swipe® travel-friendly and ideal for gym or hand bags and even pockets! What better gift during the holidays than a pair of cozy, fuzzy socks? Better yet, “Ugly Sweater” socks from Hyp Comix! Whether they’re a part of Hufflepuff or they prefer the Dark Side of The Force, there’s a pair of socks for everyone for everyone (and they’re $10 a pair). It’s a unique pop culture gift that will satisfy any girl’s geeky pleasure by being both comfy and cute! Key2Bme is a fun, uplifting and affordable gift. It’s a little reminder to clip on your key chain or bag that YOU hold the key to your happiness! Kids/teens love to clip them on their backpacks, bags and key chains to show off the things they love (like dance, soccer, music, cheer, etc) Kids/teens and adults alike love to give them to each other to spread happiness and encouragement (be happy, hope, change the world, believe, lucky, etc.). Excitingly, the new Mint Chocolate Chip flavor marks the first of a series of new ChapStick® flavors launching exclusively on ShopChapStick.com. Every six months, be on the lookout for news of the newest exclusive ChapStick® flavor available on the online store while supplies last. When you purchase ChapStick® Mint Chocolate Chip, you can even pre-purchase the next two surprise flavors to automatically ship to you once they launch! Tea Drops are organic shaped teas, in fun whimsical shapes, that dissolve in a cup of hot water — steeping instantly. They are made with organic USDA tea, spices, and very lightly sweetened with organic cane sugar. They are perfect on the go, and make the perfect gift since they are beautifully packaged in a paulownia sustainable wood box or colorful compostable box. This is perfect for a the gal on the go, this show-stopping yet versatile bag can glam up your everyday routine. With the perfect amount of sparkle, they’ll make you feel festive any time of the year (available in glittery Rose Gold, Peony Pink, Orchid). Indulge your hair with this restorative Sulfate Free, Deep Hydrating Weekly Treatment. Argan Oil, Keratin and Grape Seed Oil combat damage, breakage, split ends, dryness, dullness and frizz. This therapeutic remedy deeply penetrates leaving hair hydrated, restored, fortified and nourished with added strength and luster. Improves manageability. Safe for color treated hair and GREAT for the stockings this year! It’s time to welcome the new invisibobble® ORIGINAL permanent collection – introducing a whole new look. The revolutionary styling tool waves goodbye to it’s previous color range and presents the invisibobble® ORIGINAL collection in eight unique colors. These Care Bears Bean Plush toys are a perfect stocking stuffer this year! Not only are they cute, they are affordable. They are great for old and new Car Bear lovers! Each month, a custom blend of exotic flavors from an international destination will grace the doorstep – and soon kitchen – of your loved ones. With an economical price point of just $8/month, this monthly spice box is the perfect stocking stuffer, an amazingly low priced gift for the quality and global nature of the box. Customized recipes for diets of all types- and a great way to add flavor without added salts, sugars or additives. Perfect for friends, family, co-workers and clients as a gift that keeps on giving into the new year! These spice boxes are perfect for the annually trending color-themed gift guides offering pops of reds, oranges, beiges, greens…you name it! Say goodbye to spills — Like a spunky Saturday morning cartoon character, Gizmo is the perfect spill-proof sidekick to all your kid’s adventures (even the upside-down ones, thanks to the spill-proof valve). Kids get a kick out of pressing the button for the pop-up straw; plus, the protective spout cover helps guard against germs and messy situations (because let’s face it, kids are the greatest at covering their mouths when they sneeze). Toryen is the an acronym that stands for The Only Rag You’ll Ever Need. It is a reusable and simple one rag cleaning system that cleans, dries and polishes in one easy step, helping you clean easier, better and faster. You can use Toryen to clean all of the hard surfaces in and outside of your home with your favorite cleaning solutions or water alone. Cleaning with Toryen means no streaks, lint, residue or scratches. Toryen is washer, dryer and bleach safe. Use the code LETITSNOW to receive 15% off of an order of $25 or more. Take Whiffer Sniffers scented backpack clips anywhere and share a “Whiff” with a friend. Their clip makes them easy to attach to your backpack, lunch bag or gym bag! Each adorable Whiffer Sniffers character has his own realistic scent. You won’t be able resist sniffing Whiffer Sniffers! Their delicious scents last for over 1 year! Whiffer Sniffers backpack clips are the coolest new collectible for kids! Voted a most wanted toy by TTPM, named a top trend at N.Y. Toy Fair, awarded the Tillywig Sterling Fun award, and Creative Child Magazine’s 2016 Product of the Year award! Has the Whiffer Sniffers craze hit your town? Kids are lining up for Whiffer Sniffers! DIGit Tape is a finger puppet that stretches, covers and sticks to the thumb and other digits for hours of interactive play to help you kick your thumb sucking and nail biting habit. Safe, comfortable, flexible, breathable, hypoallergenic, latex free, water resistant, convenient and budget friendly. For ages 24 months and up. Convenient 1-oz. flip top cap bottle attaches to purses, backpacks, key chains, diaper bags or gym bags, and goes along where your life takes you. Kills the most germs – Just 1 squirt of PURELL Advanced Hand Sanitizer kills as many germs as 2 squirts of any other national brand. Enhanced with four nourishing skin-conditioning agents, a skin-friendly formulation that’s mild on hands. Clinically proven effective in helping to maintain skin health – skin moisture and skin feel. In Honeysuckle Hollow®, all the woodland creatures work together to take care of each other and their environment. Every animal family has a special job and every day is an adventure. Collect each woodland family, their houses and all the accessories to furnish them. Look who’s arrived for Season 5! Musical Miniatures, Small Sports, Tiny Toys and more! So many new Shopkins for you to adore! Check out the Shopkins Charms you can wear on your arms! Collect and connect the Petkins Backpacks. They’re super fun to hang out with! And put on a show with Shopkins that Glow! The Special Edition Electric Glow Shopkins are so Switched On! HI-CHEW, the Japanese candy with an International following, is surprisingly satisfying to eat, as well as gluten-free and nut-free, for allergy-conscious homes. There are a variety of flavors, ranging from Strawberry and Cherry to Mango and Green Apple. Beyond HI-CHEW’s original flavors are the newly introduced variety pack of HI-CHEW Sours, including Lemon, Lime and customer-favorite Grapefruit. Everyone loves a sour candy, but HI-CHEW takes it to the next level with real fruit juices and purees. My Little Pony Guardians of Harmony pony friends can’t wait for adventure—especially Pinkie Pie! She launches laughs with a cannon. Inspired by the My Little Pony Friendship is Magic television show, this Pinkie Pie figure comes ready for action with a camouflage-style helmet and party cannon that can launch the included rubber chicken accessory! She also has 8 points of articulation–pose her and imagine favorite scenes from the series. The set includes a fun badge accessory that the child can wear. Also look for other Guardians of Harmony pony friends. This 4id Sports Identification Bracelet keeps you covered during all of your athletic endeavors and serves as a way to carry your identity without compromising your mobility. By writing your information on to the weatherproof ID card and inserting it underneath the durable stainless steel plate you can be sure you’ll be prepared for anything. We already know you’re fearless; and with this 4id bracelet you’ll never have to be nameless. Fans can collect exciting and adorable new pet pals available in the LITTLEST PET SHOP Singles Assortment. Keep an eye out for 40 unique pets this year, including a Labrador and Puffin in the Spring and a Jack Russell Terrier in the Fall. Each pet includes bobble-head motion and either a Deco Bits piece or accessory to inspire unique stories. One pet in each wave also includes a special deco treatment to look for and collect. Each sold separately. Available at most major toy retailers nationwide and on HasbroToyShop.com. The dolls in the MY LITTLE PONY EQUESTRIA GIRLS LEGEND OF EVERFREE Boho Assortment are ready to relax at Camp Everfree in style! APPLEJACK, SUNSET SHIMMER, TWILIGHT SPARKLE, FLUTTERSHY, and RARITY dolls each wear boho-chic fashions, with stylish accents like loose tops and fringe details. Long, flowing hairstyles complete their effortlessly cool look. Each doll in the collection comes with a horseshoe-shaped code that can unlock virtual rewards in the Hasbro MY LITTLE PONY EQUESTRIA GIRLS app like clothing, games or coins. Scan the code into the app with a compatible mobile device. Each sold separately. Available at most major toy retailers nationwide and on HasbroToyShop.com. Collect all new DREAMWORKS TROLLS friends, each standing five inches tall and featuring crazy, colorful hair with tons of flair! Each TROLLS character in the Collectables Assortment sports its own unique look and fashion, and comes complete with a comb to brush and style its fabulous, fluffy locks. Fans can collect up to nine TROLLS characters, including DREAMWORKS TROLLS POPPY, BRANCH, HARPER, GUY DIAMOND, DJ, BABY POPPY, BIGGIE, COPPER and SMIDGE characters. Each sold separately. Available at most major retailers and on HasbroToyShop.com. Oh wow that Woodzeez bunny is SO cute! and such a steal at $9! I was looking for something small to get my 3yr old daughter for her birthday. It's on Dec.10 so I didn't want to spoil Christmas. Thanks for this list. I've found it SO helpful!